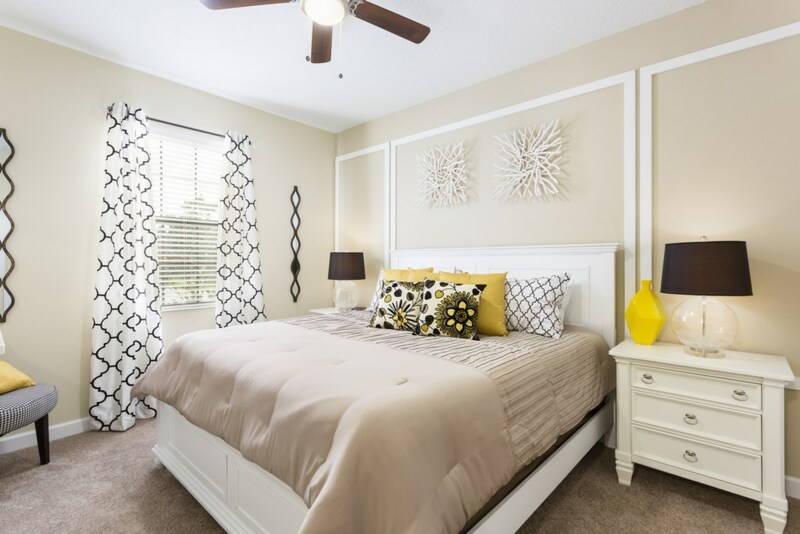 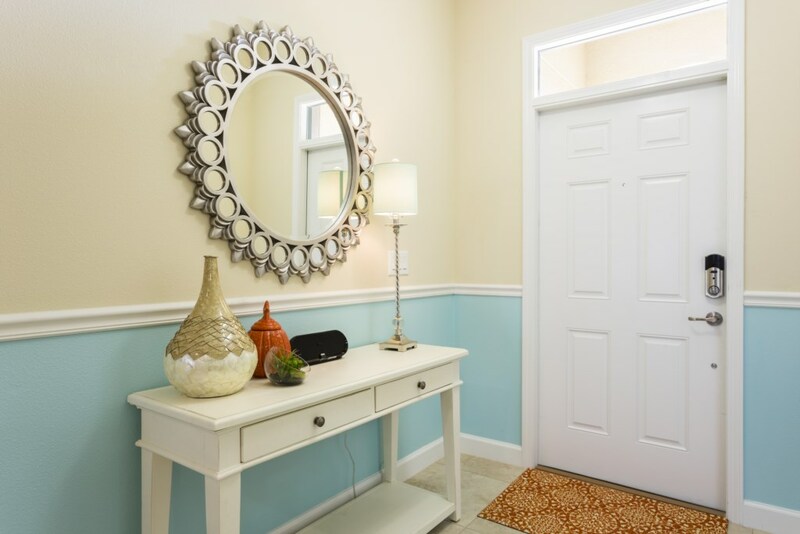 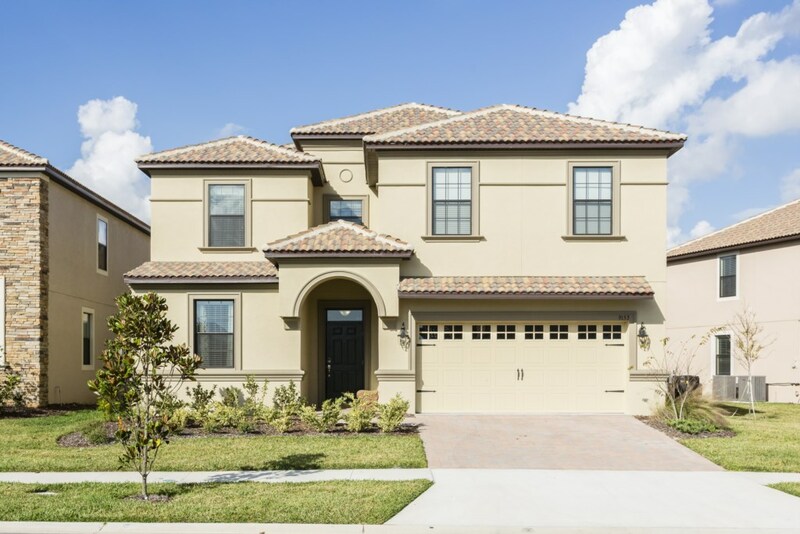 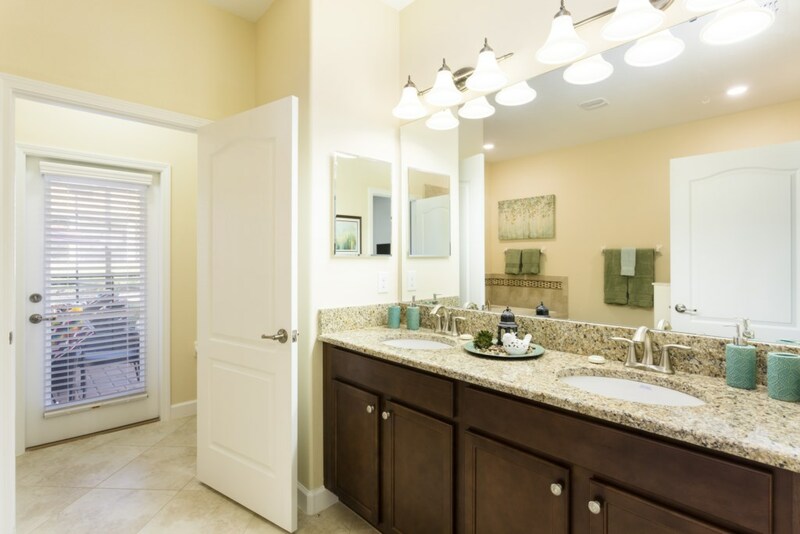 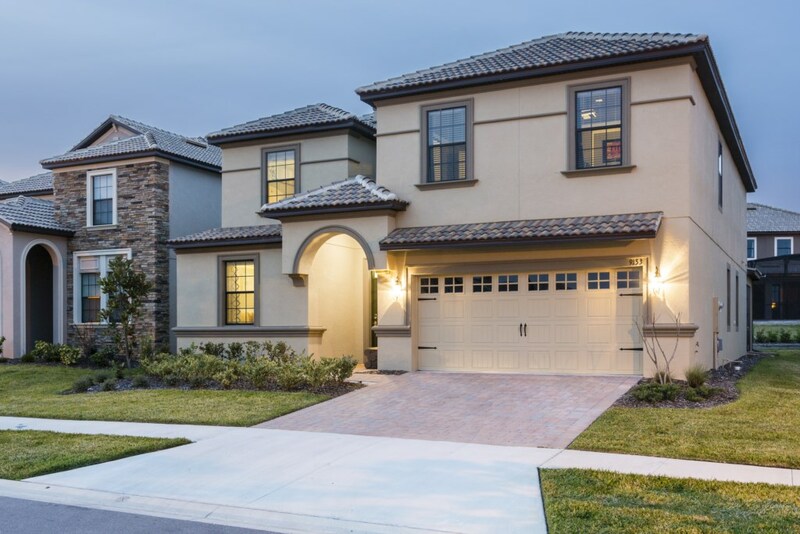 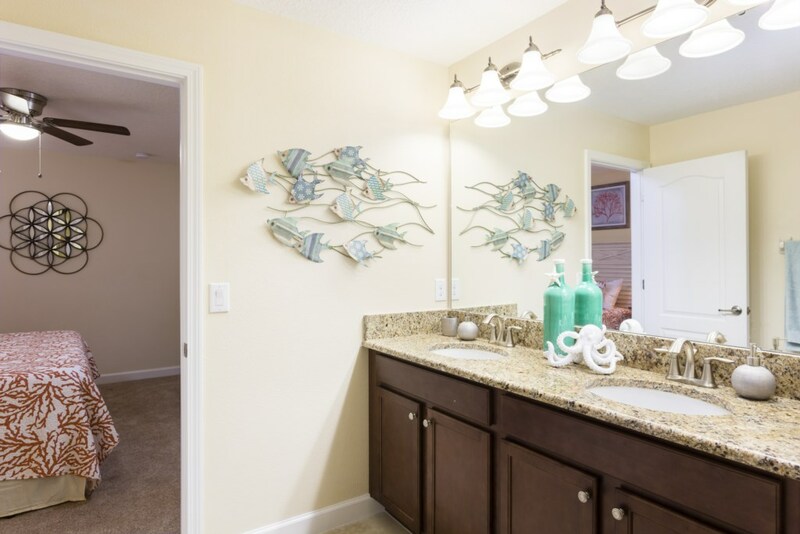 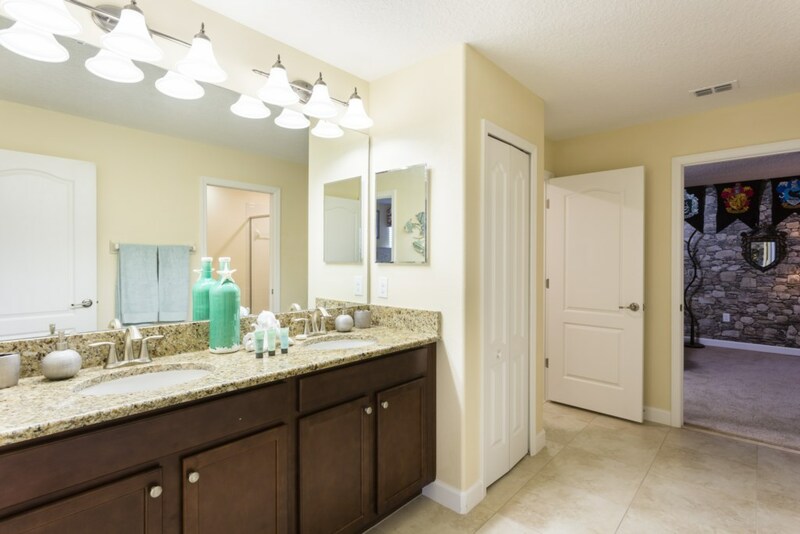 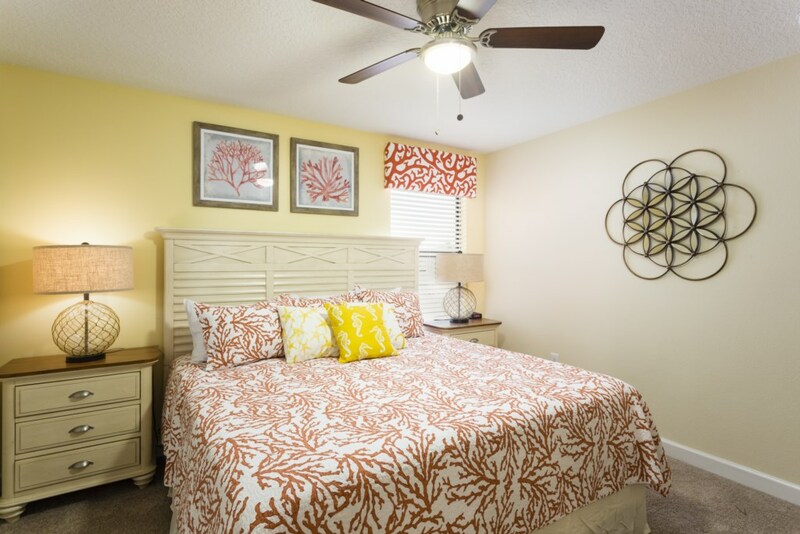 As Davenport's best luxury vacation home community, the Retreat at Championsgate offers a private gated retreat that's just around 15 minutes away from Walt Disney World. 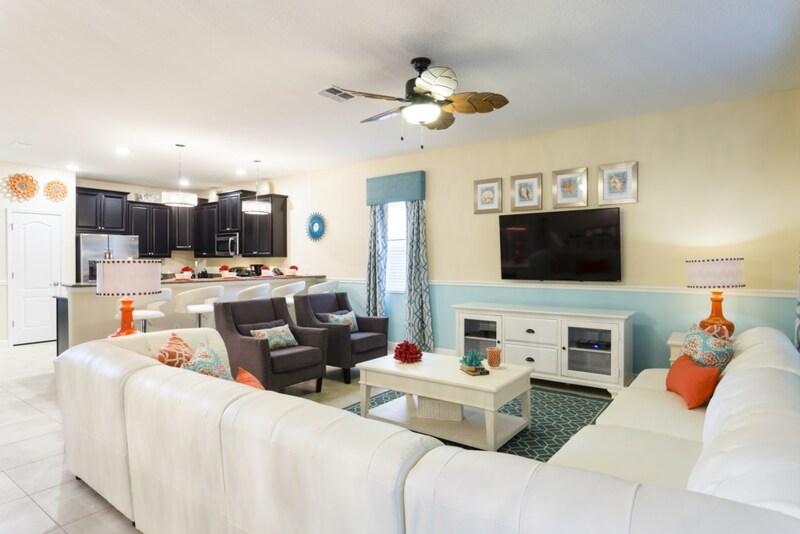 The peaceful vacation resort includes an excellent clubhouse, complete with lazy river and kids water play area, plus a resort restaurant and pool side bar for guests to enjoy throughout their entire stay. 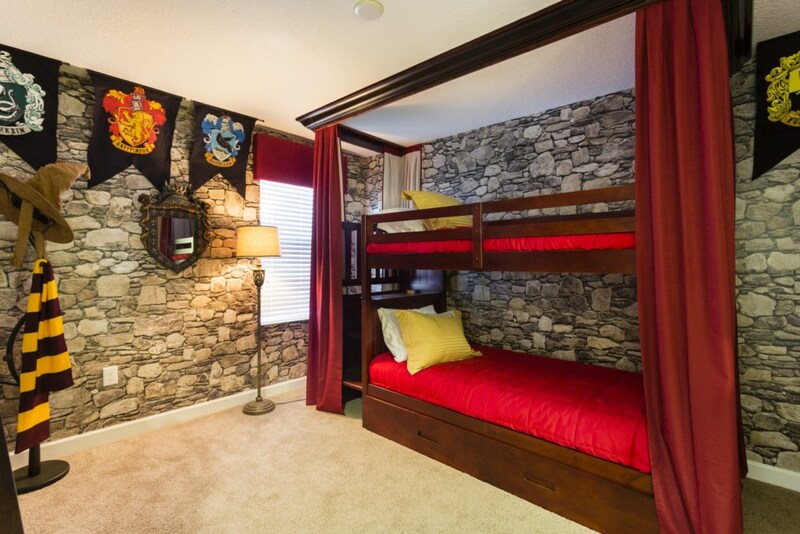 This very spacious 8 bedroom vacation home offers the convenience and additional privacy of bedrooms across two floors. 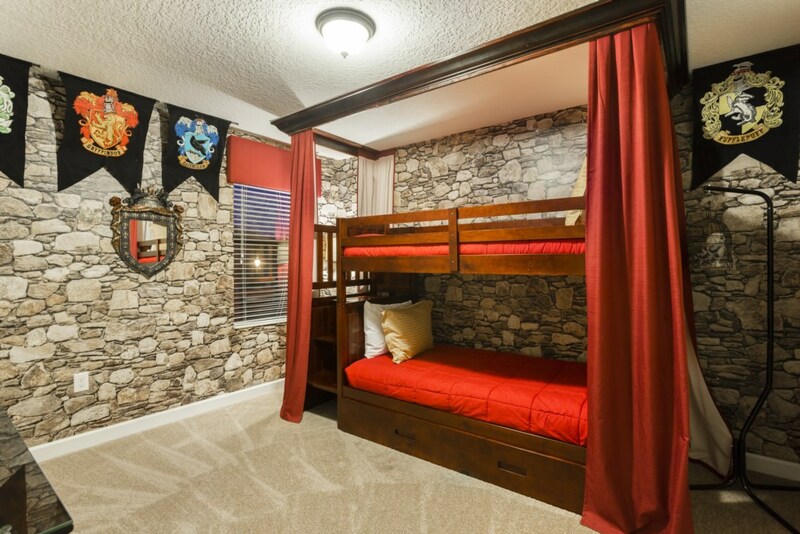 Making it an excellent choice for a family reunion, or dream adventure for all of your closest friends to enjoy a vacation of a lifetime in Orlando! 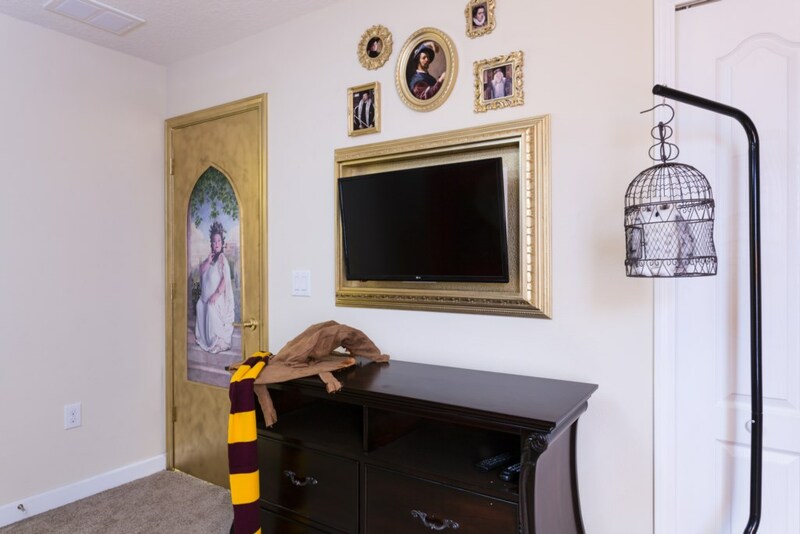 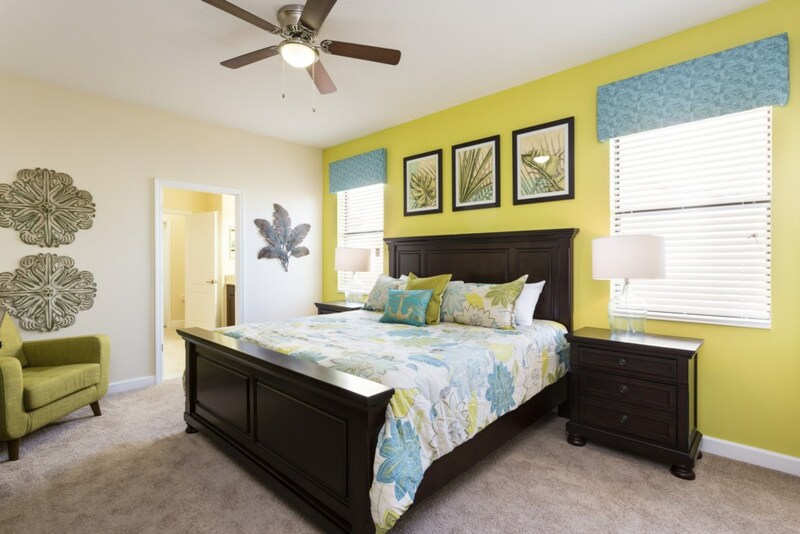 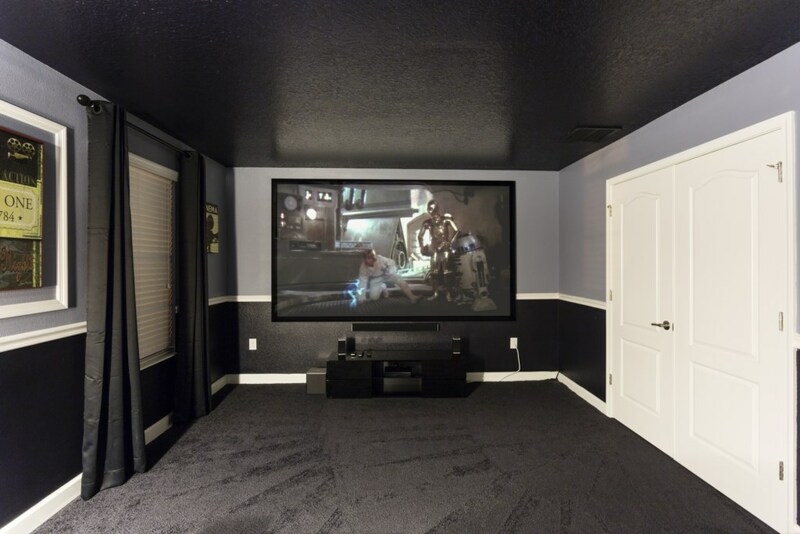 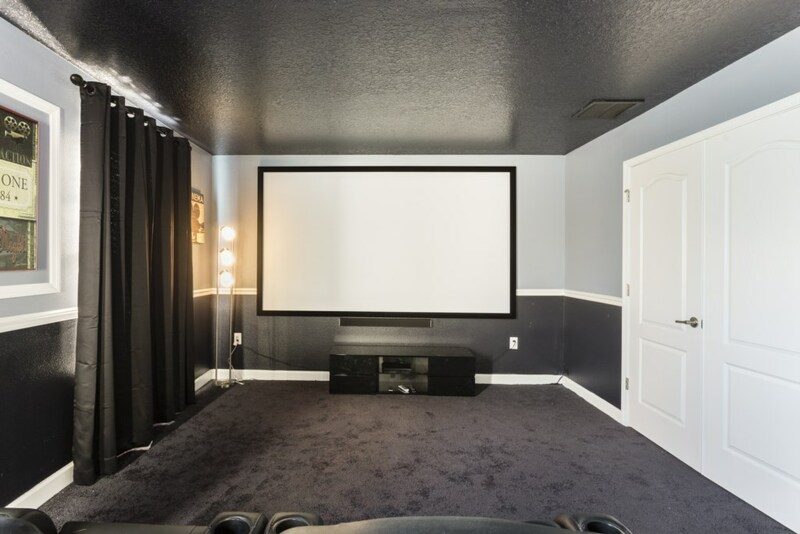 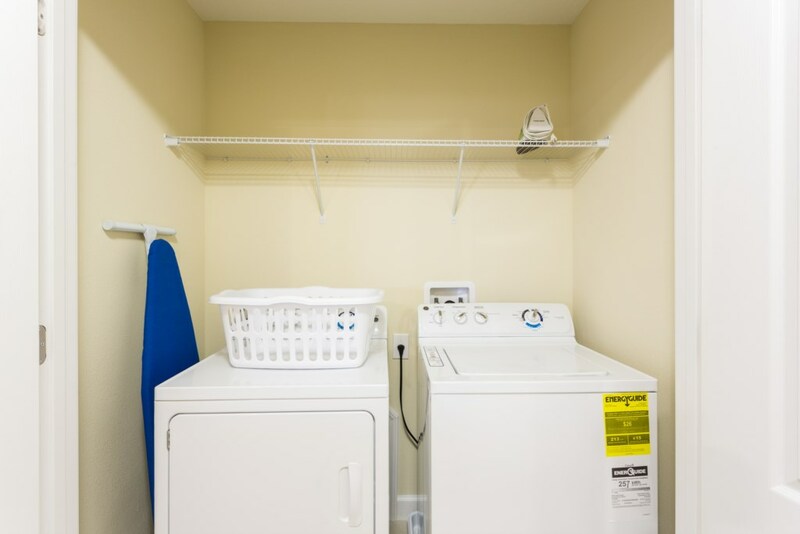 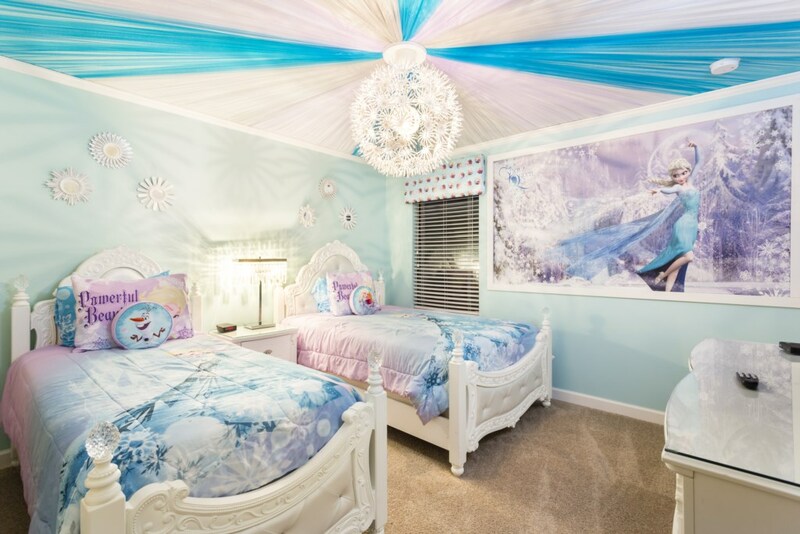 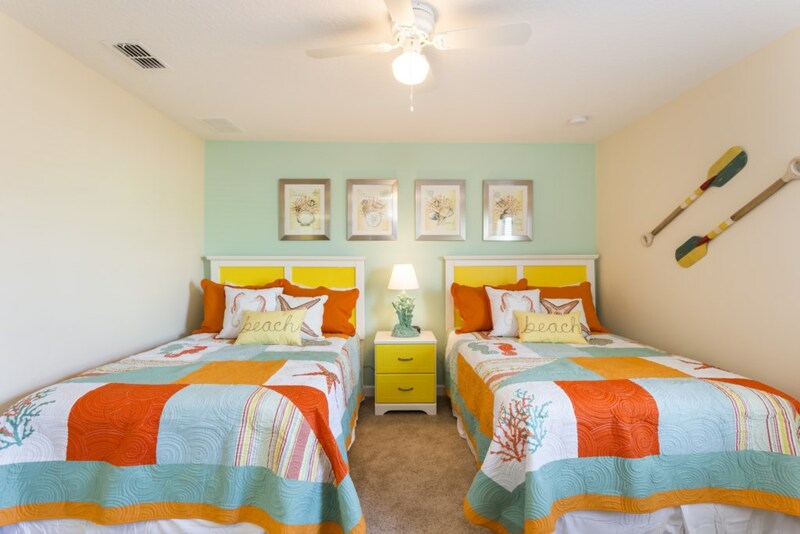 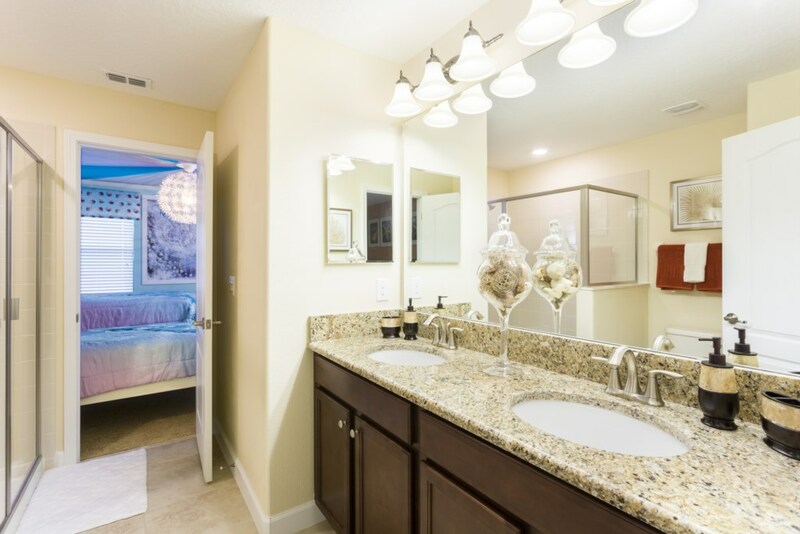 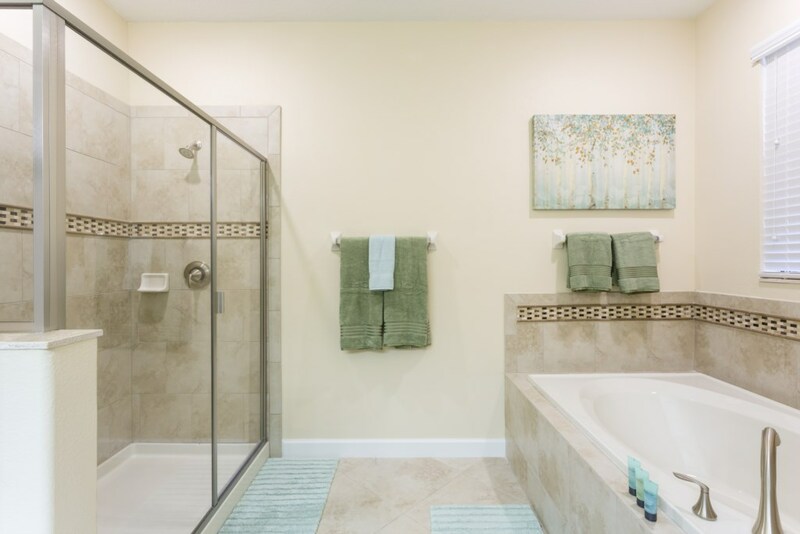 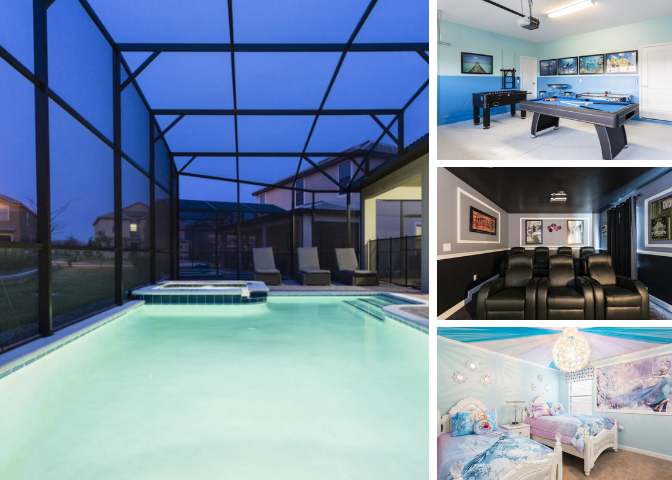 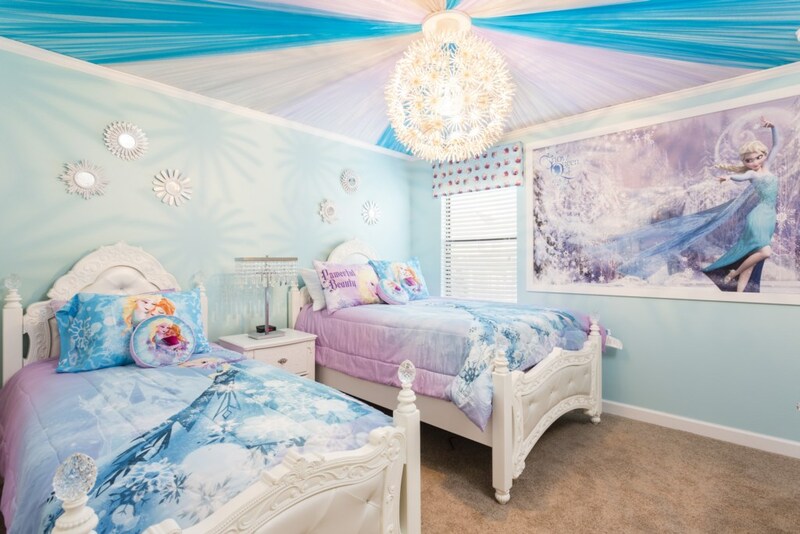 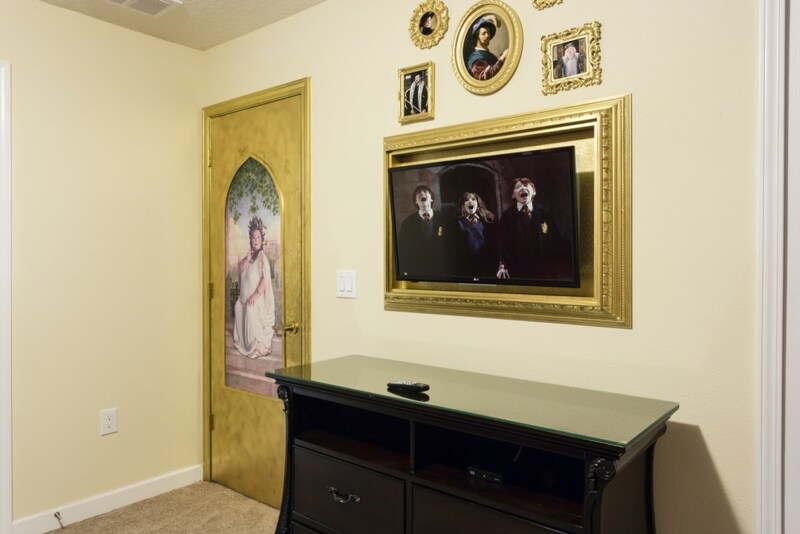 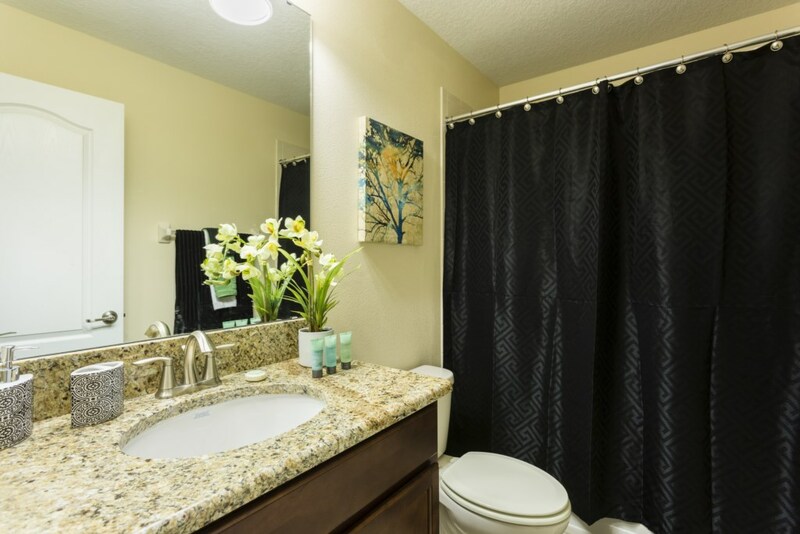 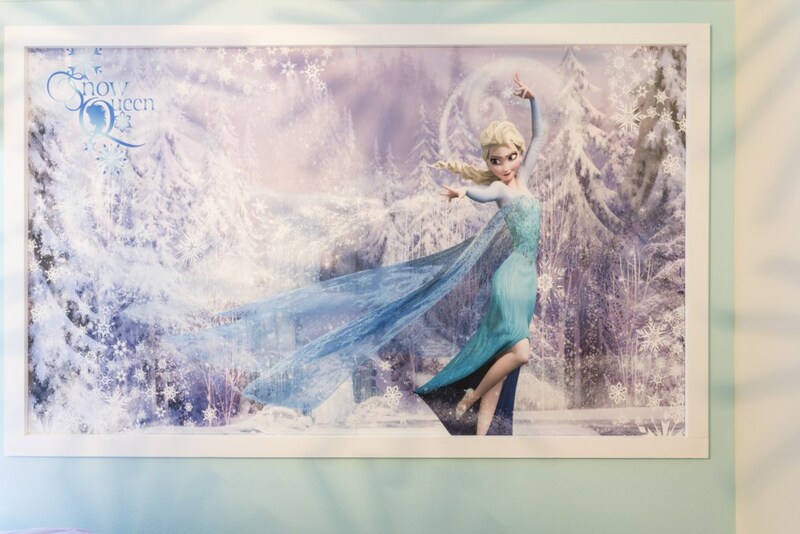 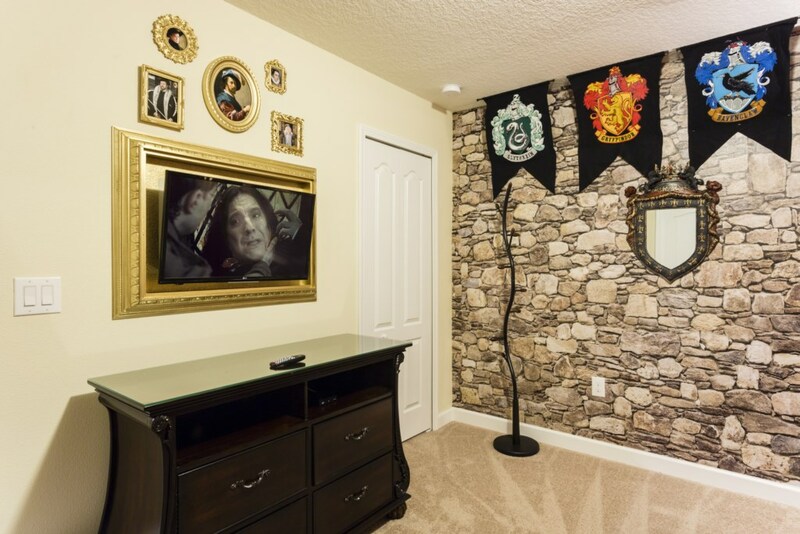 With a private screened pool complete with spa (optional heating) and a 7 seat tiered home theater plus excellent games room, your guests can enjoy fun after the theme parks whenever they wish. 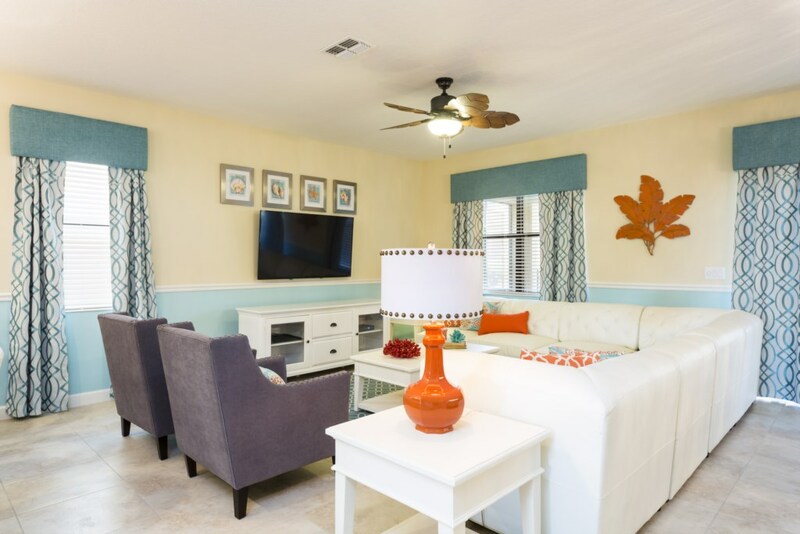 Of course, that beautiful resort pool and clubhouse adds a little extra to your poolside day if you are planning some quality time of relaxation together. 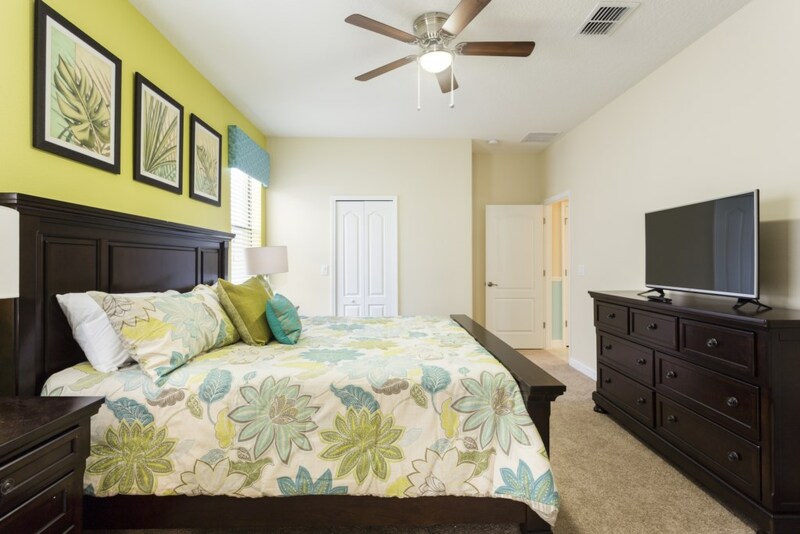 A perfect home for a large group of family and friends to share a luxury 8 bedroom villa near Disney! 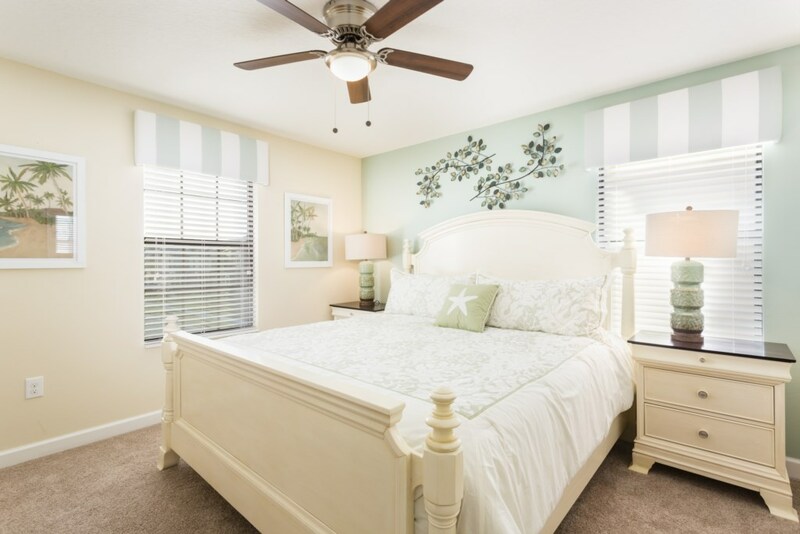 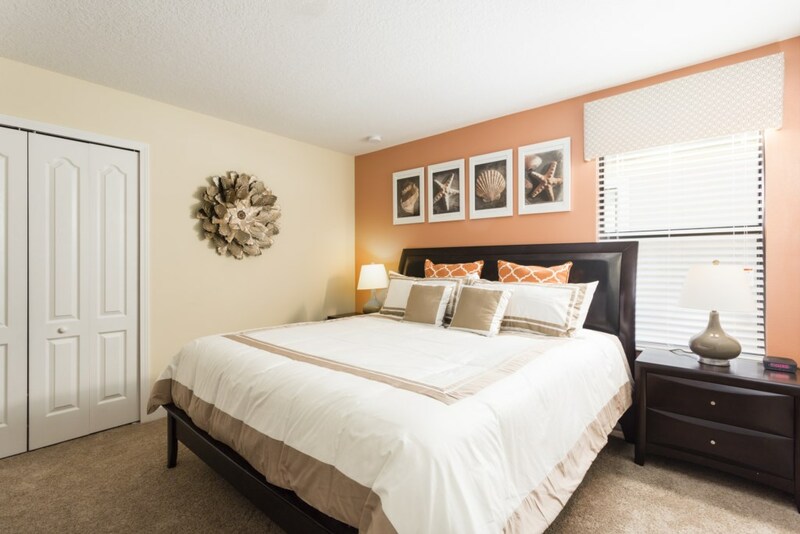 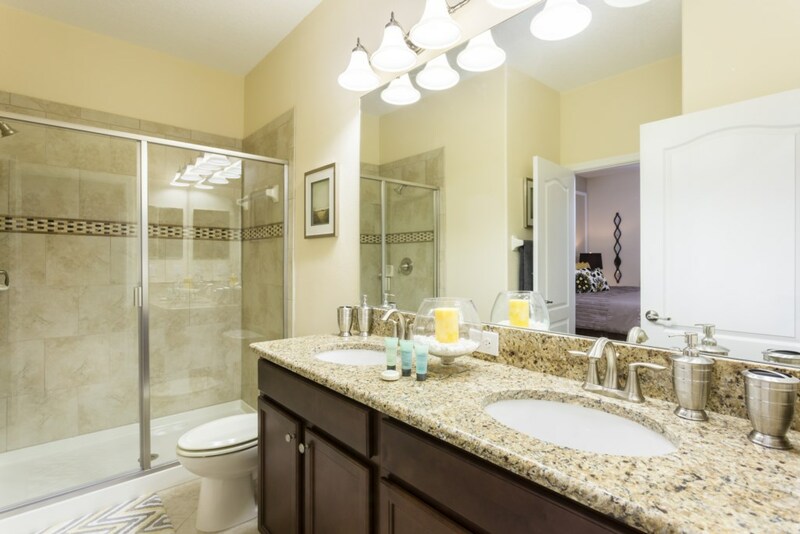 Located along Wedge Drive in Championsgate's Retreat resort and is approximately a 5 minute walk away from the clubhouse and resort pool. 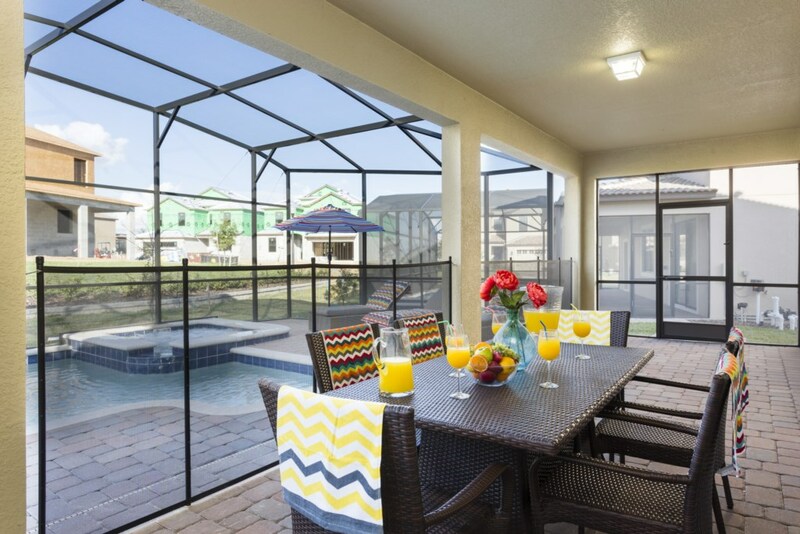 The home also includes a north facing pool deck. 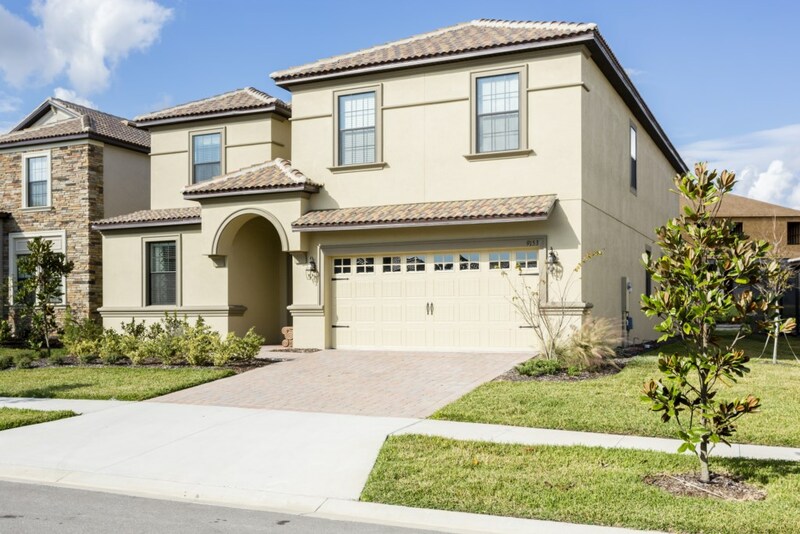 This villa is close to Disney - 15 minutes drive. 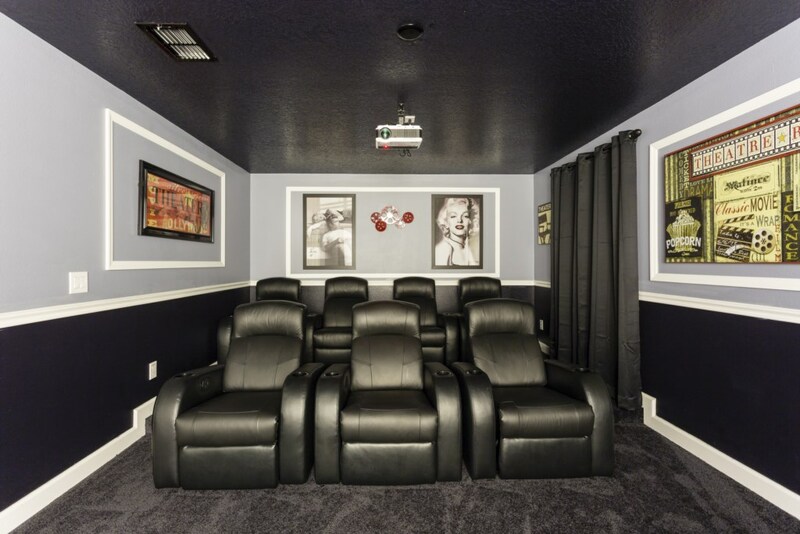 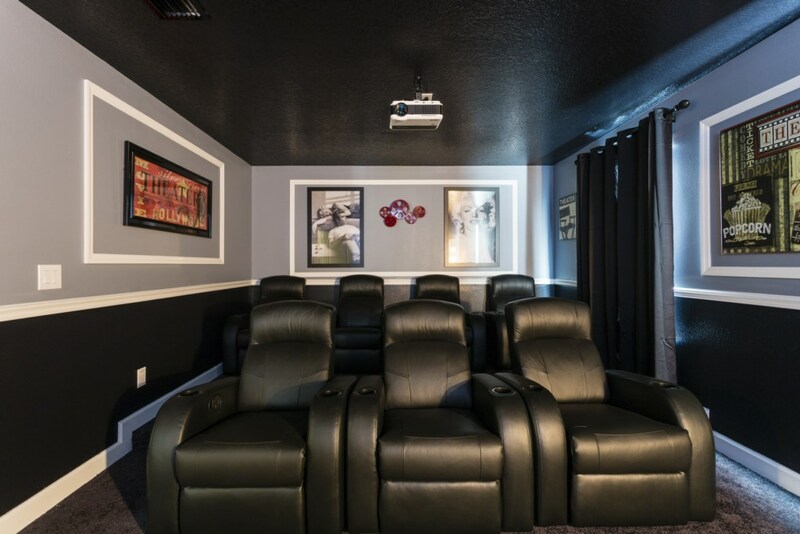 A professional 7 seat tiered home theater. 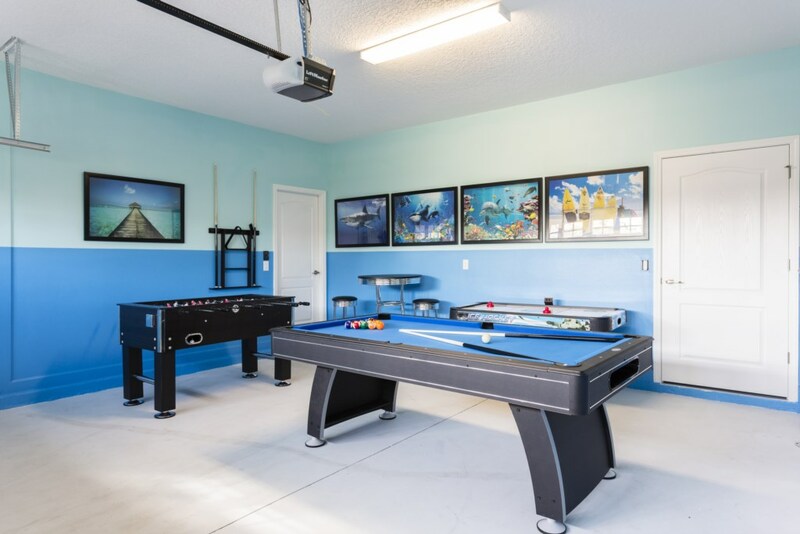 A games room with pool table foosball and air hockey. 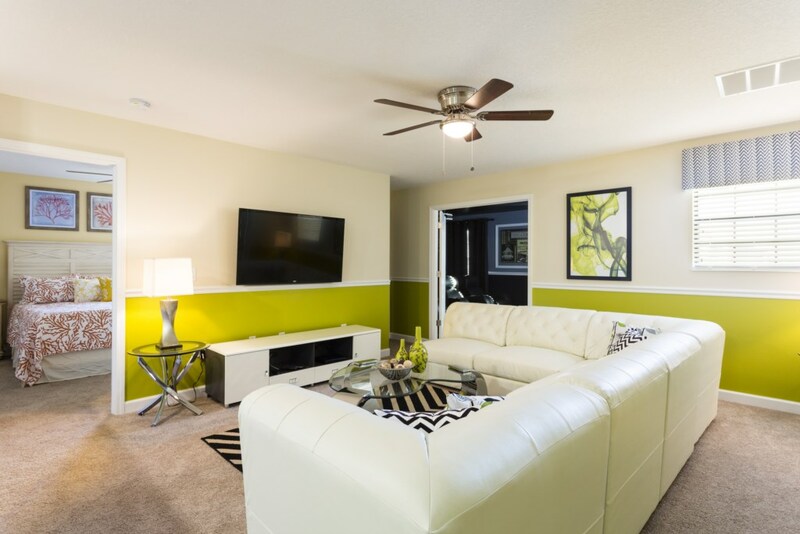 A comfortable family living area is located to the ground floor and includes sectional sofa, and two accent chairs overlooking the wall mounted TV. 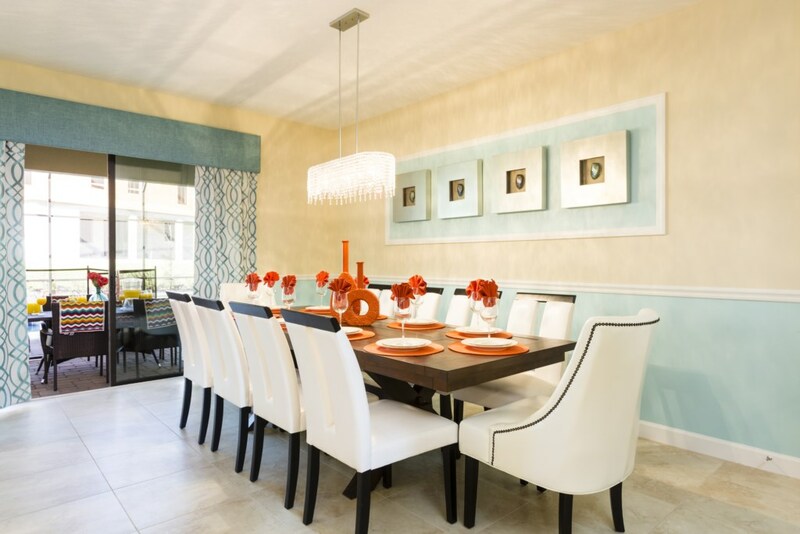 A large 10 seat dining table and a 5 seat breakfast bar is located near the kitchen area of the home. 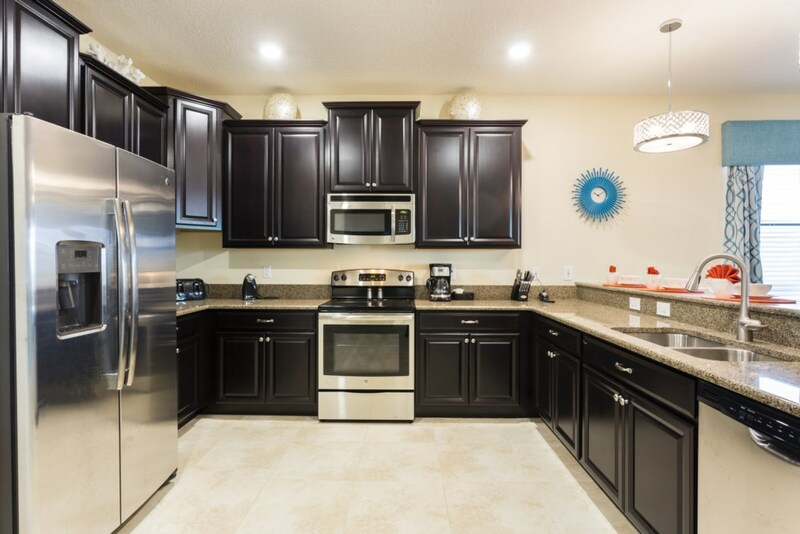 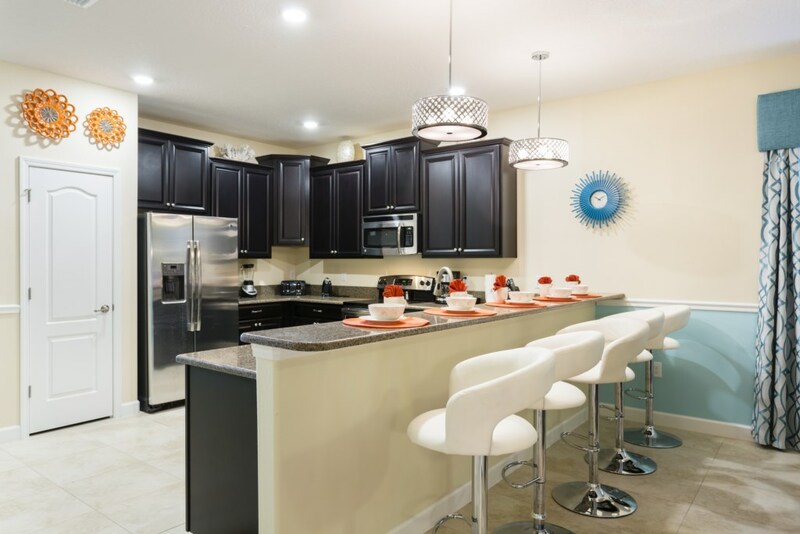 With everything you need to prepare your favorite snacks and gourmet meals, the fully equipped kitchen will help your family enjoy your favorite dishes, snacks and cocktails, perfect for keeping your family's dining costs under control! 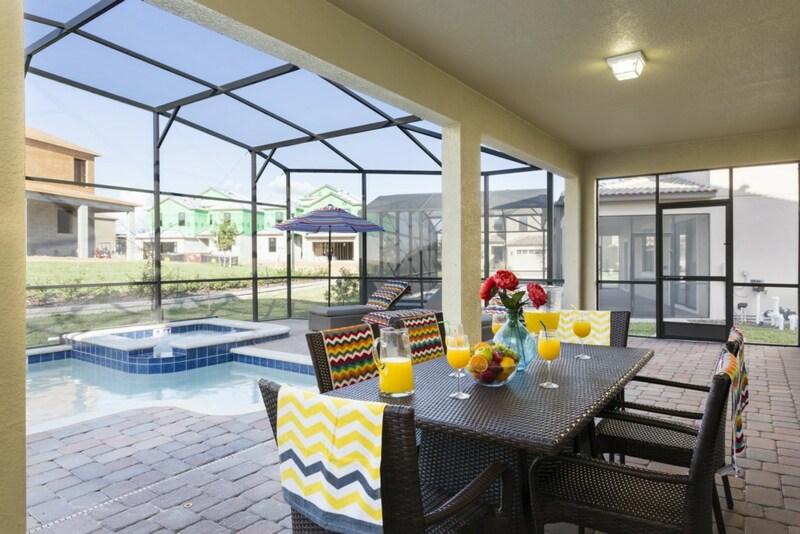 A north facing pool with covered lanai, patio dining set, and sun loungers. 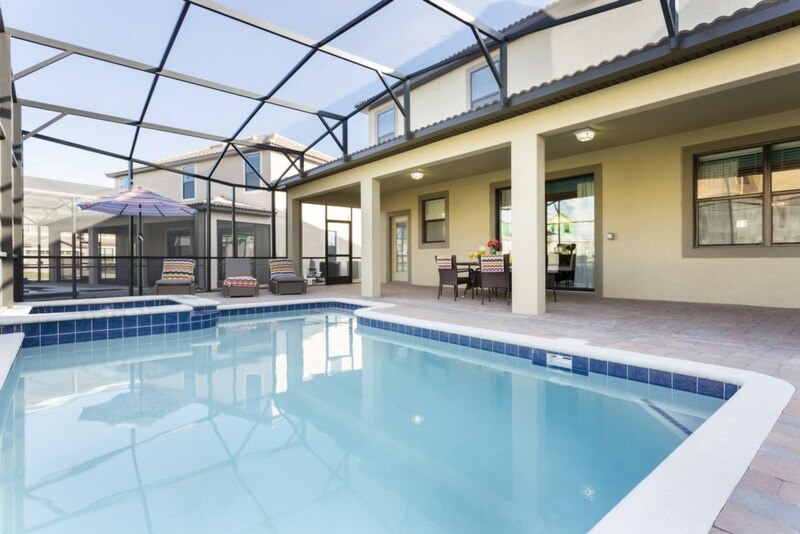 The pool area receives a combination of sun and shade throughout the day, making it perfect for guests who like their kids to play in the safety away from the sun, while they find the right spot on the pool to enjoy the warm Orlando sunshine! 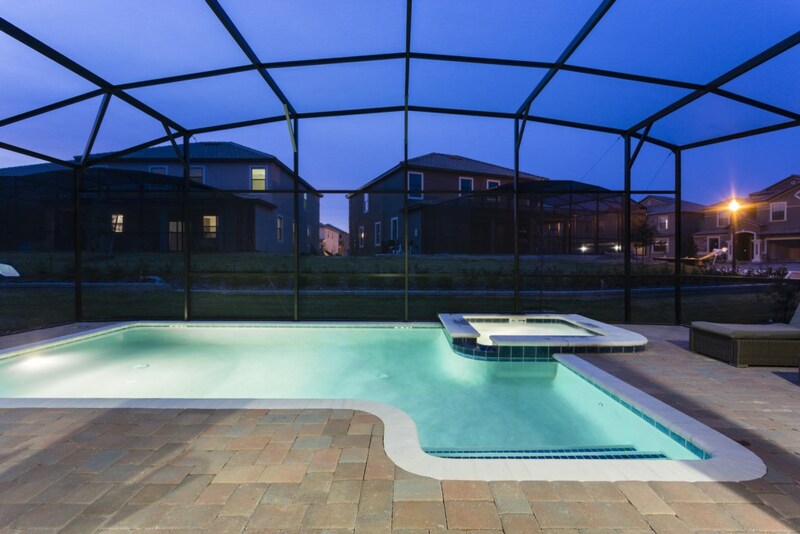 The pool area is screened, to help protect guests from any night time bugs as they enjoy every moment of their time in Florida. 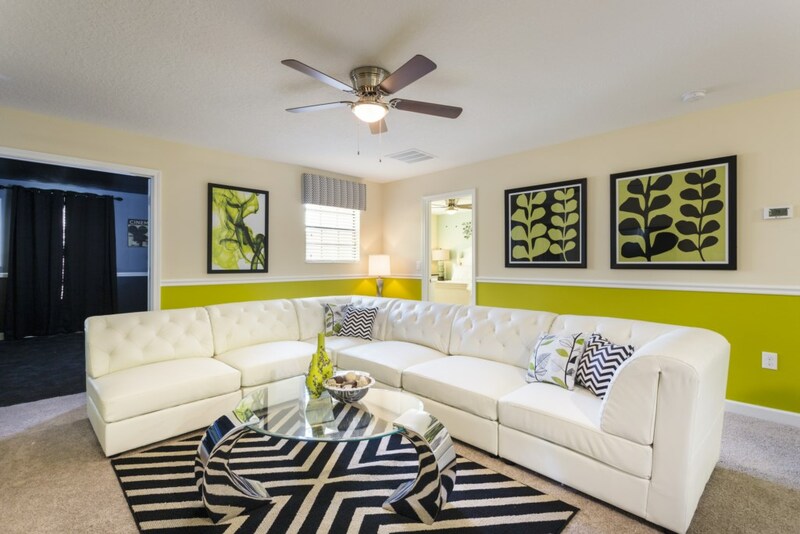 A pool table, air hockey and foosball table offers a chance for some competitive fun!